Today I have a much better site for you all. It already has an active and clearly established community unlike here. All you have to do is write quality blogs, upload pics or videos like you do in other social networks. It has to be your own content so you can stay at the site as long as you can. 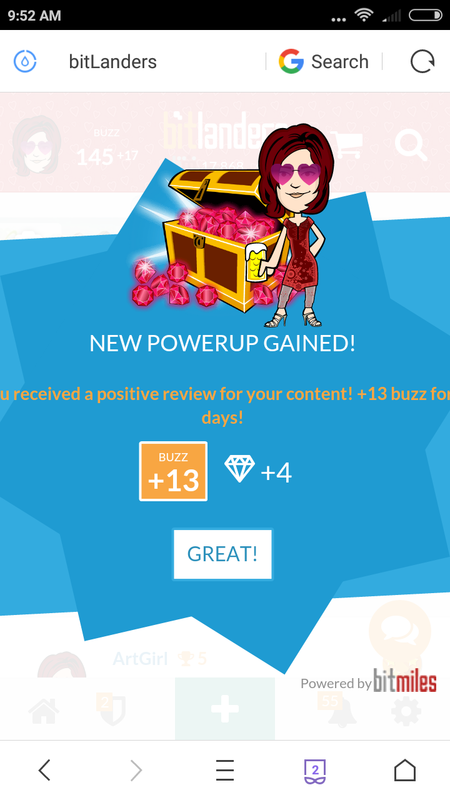 Submit them for review, get buzzed (equivalent to like in Facebook, ❤️ in Instagram) and earn $$$ for all those activities. Who knows, i might see you on the leaderboard soon! It's that easy. If you have Paypal then that's great! You can cash out that way. Top member currently earns around $7 a day! So if you'd like some $$$, join us today. Artgirl	Sorry haven&apos;t been online here for awhile. Glad you&apos;re all finding this post. Thanks for joining!